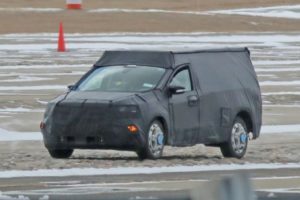 The 2019 Ford Focus Active Wagon is in the works at the moment. The interesting vehicle, however, is not going to be available in North America as it was originally planned. The wagon will suffer the same fate as the “Focus Active” crossover which has been canceled for the U.S. due to too high tariffs on imported goods imposed by the Trump Administration. The rest of the world will be able to enjoy driving the 2019 Ford Focus Active Wagon pretty soon. The model should make its debut in the first quarter of the next year, so it will most probably be available in the showrooms next summer. 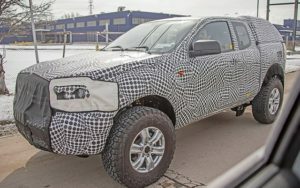 The partly camouflaged prototype of the upcoming wagon reveals something we knew already and that’s a quite familiar exterior design. Yes, the Active Wagon will get pretty much the same front-end design as the crossover-hatchback sibling including the attractive grille and aggressive headlights, as well as these pretty big air intakes. Compared to the standard version of the wagon, the Active model gets a special suspension which has been lifted by around 1.2 inches, so the wagon gets a ground clearance of around 6.8 inches. The car should arrive paired with low-profile tires, too, which will also have a positive influence on driving dynamics. Plus, it rides on a platform which torsional rigidity has been increased by 20 percent. We haven’t seen the cabin of the 2019 Ford Focus Active Wagon until now, but we assume it’s going to be pretty much the same as the one from the introduced Focus Active hatchback. The dashboard will host the infotainment system’s display screen located at the top of the center stack and this is definitely the most dominant detail. The car will benefit from a range of goodies including Wi-Fi, a motion-activated liftgate, telematic services, and a wireless charging pad for mobile devices. 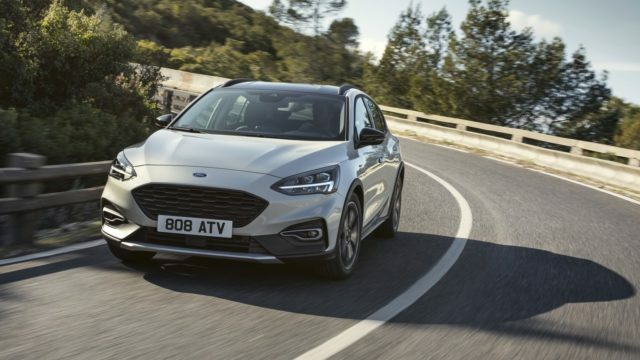 The 2019 Ford Focus Active Wagon will get three engine options. The potential buyers will be able to choose between 1.0-liter turbocharged inline-3 and 1.5-liter turbocharged inline-4 gasoline engines, and a 2.0-liter turbocharged inline-4 diesel. All units can be fitted with either a 6-speed manual or 8-speed automatic. 2018 Jeep Wrangler VS 2019 Ford Bronco: Which One Will Rule?